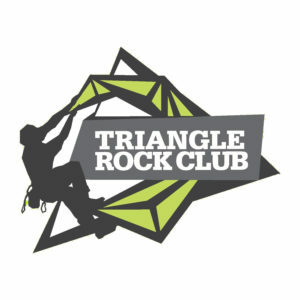 Pitchers, Catchers and spring wildflowers - GetGoing NC! When I was growing up in Colorado, my countdown to spring began when pitchers and catchers reported for training. It wasn’t warm enough to play baseball where I was, but it would be in six weeks or so. Spring was on the horizon. Today, I use a different standard to count down to spring: the appearance of the first trout lily. Spring wildflowers are on a tight time schedule. Nestled on the forest floor, they must quickly take advantage of the warming sunlight to bloom and set in motion their reproductive cycle. They’re on a deadline because that warmth and sunlight will soon trigger surrounding trees to leaf out and block that precious sunlight. While you may see some blooms as early as January—the perky daffodil and crocus come to mind—they aren’t official harbingers of spring: they’re not native to the region and thus play by a different set of rules. The true sentinels of the season are trout lilies and spring beauties. 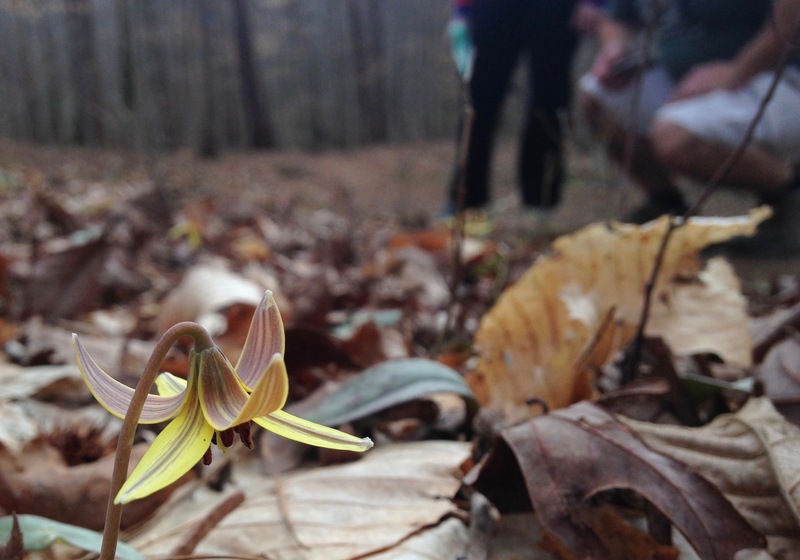 Typically, the first trout lily appears the third week of February, according to Dave Cook in his “Piedmont Almanac.” But really, with the weather anymore, what’s typical? I watch for a more tangible sign: the first 70-degree day of the year. Which was Tuesday. Poet’s Walk at Ayr Mount, Hillsborough. Where this mile-long trail drops down to the Eno, trout lilies and spring beauties shyly pop through here and there. Then, within a day, the spring beauties especially are everywhere. Pump Station Access, Eno River State Park, Durham. This 2-mile trail starts off Rivermont Road and drops over a bluff to the Eno. There, the trail has the Eno to the north and a wide floodplain forest to the south, butting up to the bluff. For about a week after the bloom begins, the area is carpeted with spring beauties. Sycamore Trail, Umstead State Park, Raleigh. 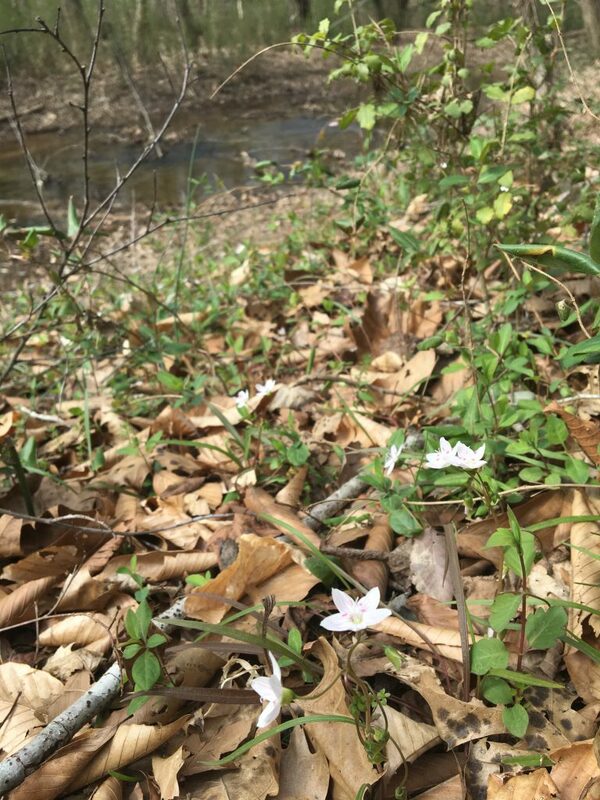 We’ve found the spring wildflower viewing spotty at Umstead, but one place where we’re never disappointed is on the Sycamore Trail at it rises above Sycamore Creek west of the Graylyn Multiuse Trail. Climbing up from the creek, the rocks along the trail harbor a robust community of wildflowers. Mountain Trail, Pilot Mountain State Park, Pinnacle. 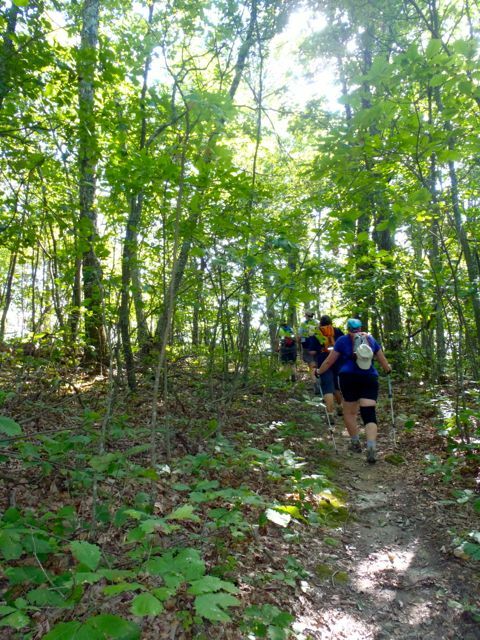 Roughly two-thirds of this 4.3-mile trail at the base of Pilot Mountain is on the mountain’s south or west flank, and much of it passes through mature hardwood forest. To avoid the park’s spring crowds, access this trail from the parking area off Pinnacle Hotel Road and enjoy the show by your lonesome. So far, we’ve yet to see even a hint of bloom. When we do, we’ll let you know when and where on our Facebook page and Instagram, where we’ll continue to update you with wildflower sightings throughout the spring. GetHiking! 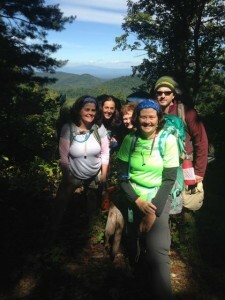 Pilot Creek Trail, Pilot Mountain State Park, Saturday, 9 a.m. GetHiking! explores a new trail at Pilot Mountain State Park, one that seems well situated for early spring wildflower blooms. The Pilot Creek Trail starts from an access off Boyd Nelson Road on the north side of the park, heads through lowland woods, then traces the base of Pilot Mountain. Learn more and sign up here. 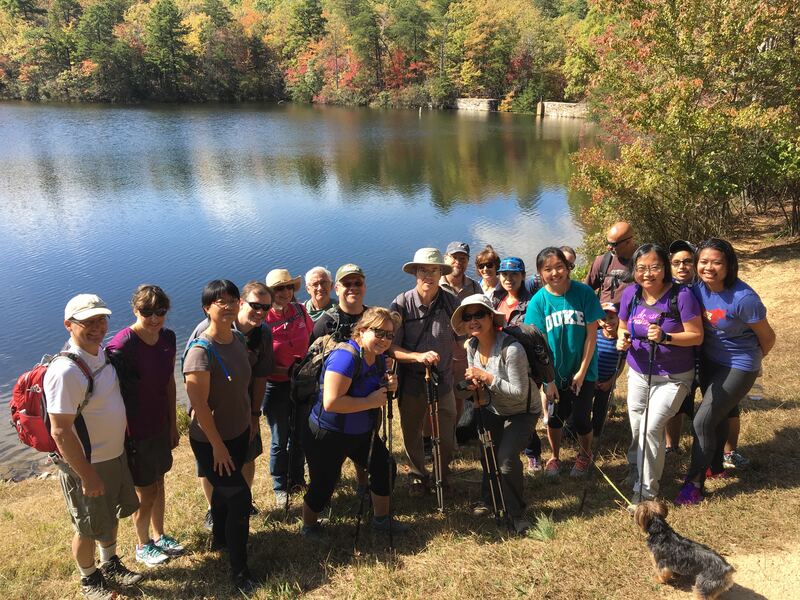 Follow the spring wildflower show and get other trail news by joining our GetGoingNC Facebook page and following us on Instagram. For a more in-depth explanation of what’s happening to make spring wildflowers bloom, check this story, “How Do Flowers Know When to Bloom” from Live Science.